Uruguay rewrote history in 2013 when the country became the first to fully legalise cannabis for recreational use for all citizens. Citizens and legal residents over 18 years old are legally allowed to purchase, recreationally use and cultivate cannabis at home. Cannabis sales are exclusively managed through a government-run permit system, normally sold in pharmacies, with officials legalising the export of cannabis to countries where medical cannabis is legal. No companies currently export, but many have been lobbying, claiming selling medical cannabis products to foreign markets could be essential to staying ahead of the game, with the hope to transform Uruguay into a leader in the medical cannabis market along with Israel, Canada, and the Netherlands. Dixie Brands, a Colorado-based cannabis company recently partnered with Khiron Life Sciences, a Toronto company, to acquire Dormul SA, which has a license to produce medical cannabis in Uruguay. “The Latin American market is poorly supplied and is growing. 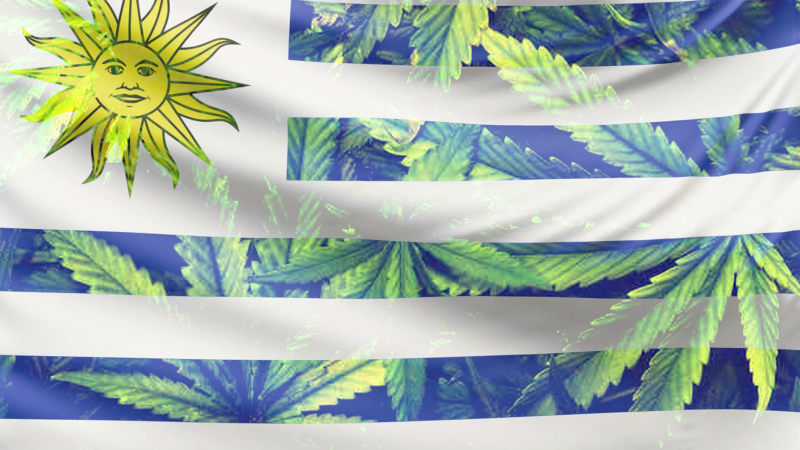 “Uruguay is taking a leadership position in growing high CBD, high-value hemp products. The merger will allow Khiron to export medical cannabis from Uruguay to Brazil due to the regulations of the Mercosur trade bloc. Fotmer, a cannabis plantation about 130 kilometers west of the Uruguayan capital of Montevideo, currently employs 80 people and is investing $7 million in laboratories and 10 tons of crops that it hopes to ship to countries including Germany and Canada, which is struggling to overcome supply shortages in its cannabis market. There are 35,000 cannabis plants on the plantation, sheltered in 18 large greenhouses measuring. It’s expected that Fotmer’s first crop will be harvested, and processed for oil, in March. The oil, containing both THC and CBD, will be extracted in its labs to produce a variety of medical cannabis products ready for export, including tinctures, balms, pills, and other treatments for cases of chronic pain, epilepsy and chronic pain. However, there is one main issue preventing Uruguay from truly dominating the South American market: there is no market in South America for legal cannabis. Surrounding States, including Panama, Ecuador, El Salvador, and Cuba have yet to introduce any policy relaxing their stance on cannabis, either recreational or medicinal. Exporting cannabis products also needs to conform to a complicated structure of international regulations, which are still being developed. Given the fact that Uruguay is the only South America country to legalise cannabis does give it a great head start. While countries like Uruguay are hoping to become a world leader in cannabis exports, Britain already has a dominance. The UN found Britain to be the world’s largest exporter of cannabis in the world, despite denying it to its own citizens. This disgusting hypocrisy leaves an even sourer taste in the mouth when one takes into account the fact that Theresa May’s husband owns shares in the company which is exporting the illegal product. If Britain does not take action soon, we could be left behind in one of the world’s most valuable markets. Or rather, the people of Britain will miss out, while those in power massively profit from the healing plant.